6-5: Cynthia is doing all of this for purely academic purposes, obviously. Hey it’s the last page of 2015! This year was kind of a mess for me to be honest but I’m optimistic about 2016. I spent most of December being sick or injured but I seem to be on the mend now. I’m gonna go ahead and open commissions for January 2016. If you’d like something check out my pricelist here and send me an email at secretcollect@gmail.com I’m still finishing up one from December but I’ll be starting on January commissions right after. 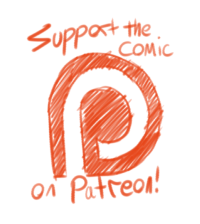 And as always if you’d like to support the comic you can back me on Patreon. Once we hit the $400 mark TWIYEH will update twice a week every week. What exactly do you mean by “abnormal”? Non-heterosexual I suppose? Wasn’t meant to be anything in particular, just the first phrase that popped to mind. Hm, okay. I’ve been debating if I should say anything or not. I really enjoy getting comments on the comic and don’t want to discourage anyone from leaving them. The short answer is no, there are straight characters in the comic. The long answer is that first off: I really don’t like the use of abnormal in this kind of context. I understand you didn’t mean anything by it but in using a term that’s also used to describe things that are deformed or diseased it has some pretty bad implications. I hope you’ll understand why that might hurt someone and perhaps phrase things differently in the future. 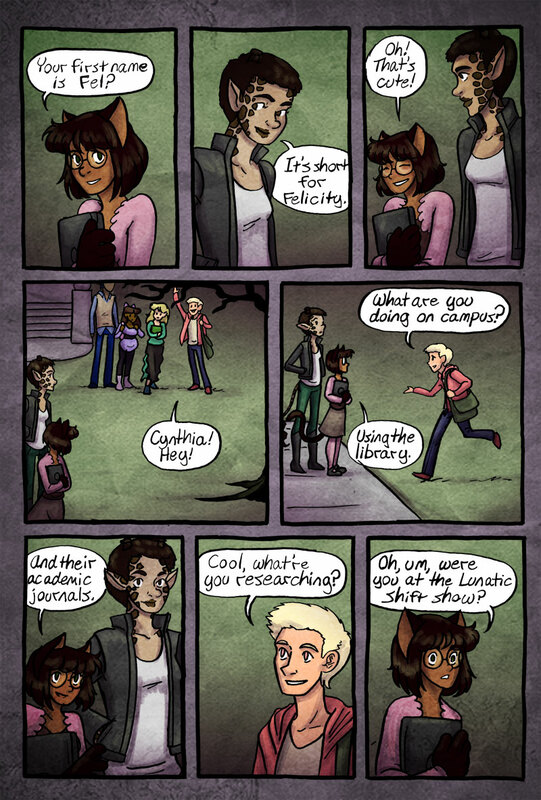 Anyway this comic has always had a goal of having a pretty broad spectrum of sexualities featured. I often describe it to potential readers as ‘queer urban fantasy’. There are a handful of exclusively straight characters and a lot of characters with no explicit sexual preference, but even if everyone in the comic was queer in some form or another I don’t see that as a problem. After all there are plenty of stories out there where everyone is straight. The world should be able to handle a few where everyone isn’t.
? There was nothing negative intended in it. I didn’t mean anything by it, and the statement is honestly accurate. Heterosexuality is by and large the most common sexuality, any others are, by their very definition of not being the norm, abnormal. I’m sorry if it offended anyone, but it really should not. It wasn’t even meant as a ‘criticism,’ more just that it caught me by surprise with this comic since nothing with Cynthia in the past that I can recall struck me as her being interested in women. I suppose she hasn’t really had too much characterization overall though. And I say this all as a gay man, bear in mind. I know there’s straight characters (Hell, the arguably ‘main’ character [Nicole] is straight, at least so far ;P), and again it was mainly tongue in cheek.